Noted as “the compelling” guitarist and “the fine” lutenist by The New York Times, Arash Noori performs throughout North America and Europe on lutes and guitars as both recitalist and accompanist. Arash has appeared in performances with Les Arts Florissants, Early Music New York, Orchestra of St. Luke’s, Piffaro: The Renaissance Band, Ars Lyrica, Opera Lafayette, the Folger Consort, Repast Baroque, the Sebastians, Academy of Sacred Drama, ARTEK, and NOVUS NY of Trinity Wall Street amongst others. Arash has performed at the Wiener Staatsoper, Carnegie Hall and Alice Tully Hall in New York, Philharmonie de Paris, Teatro Real in Madrid, Kimmel Center in Philadelphia, the Kennedy Center in Washington and Brooklyn Academy of Music. 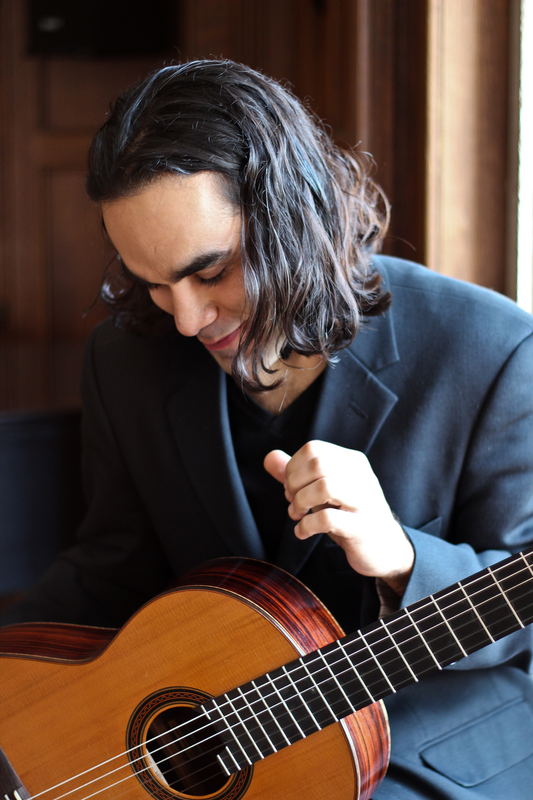 Arash has been a prize winner at several international competitions including Guitare Montréal, and the Great Lakes Guitar Competiton. Arash is a core and founding member of Cantata Profana, an “intrepid” (New Yorker) ensemble that juxtaposes masterpieces from the medieval era to the 21st century with an aesthetic orientation “devoted not to new or modern or early music — such specialists proliferate — but to most anything, so long as the mixture is put together thoughtfully and put across persuasively.” (The New York Times) The group was honored by Chamber Music America with an award for Adventurous Programming in 2016 and has garnered rave reviews from The New York Times, New Yorker, Boston Globe, Opera News, and The Wall Street Journal amongst others. A graduate of Yale and the Juilliard School, Arash currently serves as Adjunct Professor of Early Music at University of North Texas, College of Music.